Check out this incredible online casino destination and join them to gather your share from all the generous bonuses. 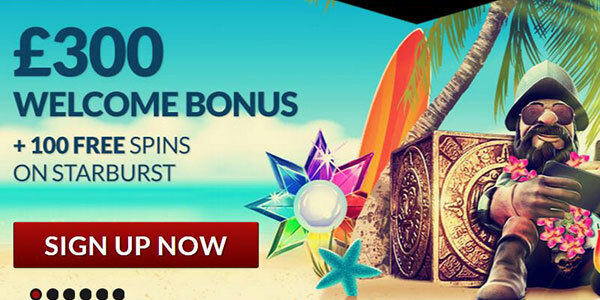 Collect the GBP 300 Welcome Package with additional free spins! Take a look at the GUTS Casino review assembled by BlackJack Champ and check out the multilevel casino online bonus, only one click away. This specialty comes with four deposit rewards. The first and fourth is a fantastic 100% max GBP 100 while the second and third pleases with 50% max GBP 50. Join this wonderful destination and start a lucrative casino journey! There’s even more to these already brilliant bonuses. GUTS Casino will top all of them with 25 free spins, which means 100 Freebies in total! These are useable on the Starbust slot, which you must’ve heard about. This NetEnt slot conquered the whole casino community with its unbelievable features and gameplay. The Starbust slot is already a casino classic, after three years of its release. GUTS Casino is completely aware of blackjack’s popularity and this is reflected in a wide catalogue of games. These include live and online blackjack titles for both mobile and desktop devices. Join one of their live tables and enjoy the game with the money from the remarkable Welcome Package! Besides the welcome bonuses, there are much more offers to check at GUTS Casino. All of them are excessively profitable, so don’t hesitate! This destination is radiating quality both through their design and services, so you’ll collect countless good memories after visiting them. Gather the GBP 300 Welcome Package of GUTS Casino! Read the full GUTS Casino review.